Hello there, friends! Today DeNami Design Rubber Stamps is sponsoring this week's 10 Minute Craft Dash Challenge! Sweet Paulina of Pretty Pink Posh invited the DeNami Design team to play along. 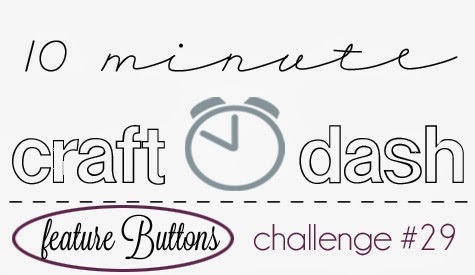 Challenge #29 is all about buttons. I just LOVE this pretty Elegant Autumn Scene stamp from DeNami! It's perfect for a quick card since all the leaves and the sentiment are already positioned in a single design. One stamping, and you are ready to go! 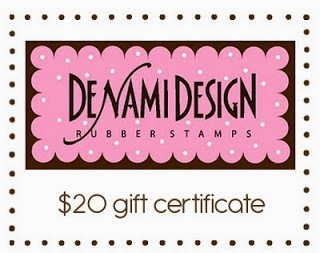 If you don't already have any DeNami Design stamps, then this is a great way to start your collection with no risk ;-). And if you do? Then you have the chance to feed your addiction! Thanks for coming by for a visit today! Love this CAS Autumn card with the pretty colors and buttons. Nicely done on Kraft, Emily. This is fabulous, Emily! Love the kraft based and the buttons onthe leaves. Very pretty card Emily, love the leaves on kraft! Such a cute card Emily, love the rich tones you used! I love kraft cards and this is the cutest little card. So simple, but it grabs you! CAS but it packs a punch! Love this card- the buttons work perfectly too! Gorgeous card! I love how you used the buttons. Love this card with that great stamp set, Emily! LOVE your CAS design. Great card. Simple and very cute love how you match the colors of the buttons. Ways With Washi: GIFT TAGS + a Giveaway! 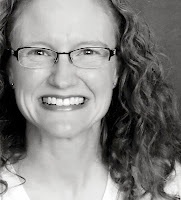 Purple Onion Designs to the Rescue!